As one of the INSIDER partners, SCK-CEN welcomes the first on-site benchmarking exercises in its centre of Mol (Belgium). 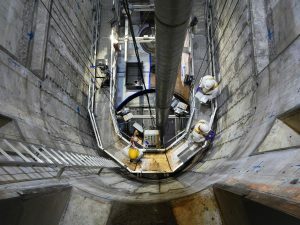 Dose rates, total gamma and gamma spectrometry measurements will be carried out under restricted conditions in the biological shield of the Belgian Reactor 3 (BR3). 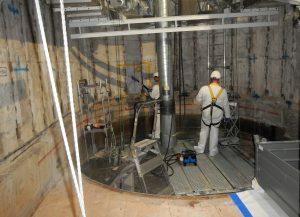 Under dismantling, this reactor is part of the INSIDER case n°2. Discover all the three case studies of the project here. Inside the biological shield of the BR3. In addition, MTA EK -also a partner of INSIDER-, had been the first of the six teams licensed to carry out the planned measurements and successfully performed the measurement exercise in September 2018. The five remaining teams planned to finalize the exercise by the end of this year. On-site benchmarking exercises in real and full-scaled decommissioning projects are the base of the INSIDER methodology validation process. The definition of this exercise had been a collective effort from the different partners involved in the project, specially from Margarita Herranz (UPV/EHU and Coordinator of the WP5), and partners from UPV/EHU, CEA, SCK-CEN, ONET, JRC, MTA EK, KIT and PSI. They faced this challenge with enthusiasm and professionalism, always keeping in mind expectations of the nuclear sector when it comes to this type of exercises. 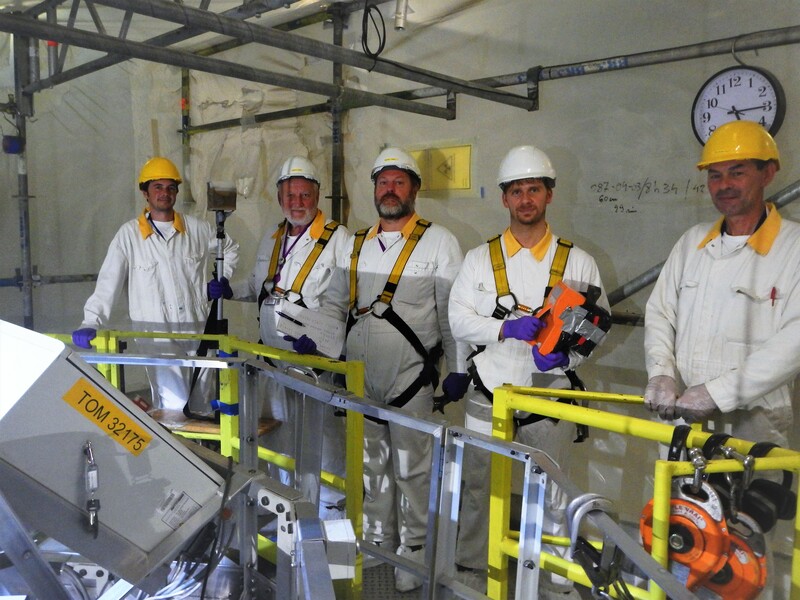 Special thanks go to the SCK-CEN staff for their welcome and help, especially taking into account that they had to reschedule the decommissioning activities to allow each team to carry out their measurements. 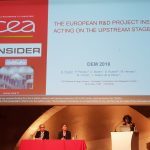 Coordinated by Danièle Roudil, President of the commission for the establishment of analytical method at the Nuclear Energy Division of the CEA (Marcoule site), INSIDER stands for ‘Improved nuclear site characterisation for waste minimisation in D&D operations under constrained environments’. 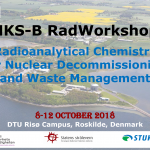 The project gathers 18 partners from 10 European countries: 11 research centres, 4 SME’s, two nuclear operators, and one services and engineering company.